I'm really excited about finding this hidden gem of Atlanta…the Robert C. Williams Paper Museum, located at Georgia Tech's Institute of Paper Science and Technology, is an exploration of the fascinating world of paper. Yes, I said "fascinating." Try for just a moment to imagine a world without paper. Difficult isn't it? It's one of those inventions that we frequently take for granted, but would be totally lost without. Consider all the items at the grocery store that are packaged in paper (not to mention the paper packaging used for shipping). Think of books you've read over the years (although Kindle, e-books, and Internet publishing are reducing the demand for print books). Think of all the financial transactions that require paper (bank statements, checks, lease agreements, mortgage paperwork), and so on. Yes, life would be quite different if paper had not been invented. I came across the Museum's website quite by accident during a random search for something else. A couple of days later, when I had a meeting in downtown Atlanta, I added the Paper Museum to that day's itinerary. Only minutes from the World of Coca-Cola and Georgia Aquarium (six minutes to be precise) and even less time from Midtown, the Paper Museum is fool-proof easy to get to. And they have free parking and admission is free, too! When I arrived, I parked in the clearly marked visitor parking lot and went inside the impressive Institute of Paper Science and Technology building…still totally surprised that there is such a thing in Atlanta! I mean, who knew?! I was kindly greeted at the reception desk attendant in the lobby, asked to sign in, and directed to the Museum. The Museum is comprised of several galleries that flank the Institute's lobby. After checking in with security, I ventured into the first gallery where I learned about the origin of paper and papermaking. I had long thought that papyrus was the world's first paper (the oldest written papyrus dates back 5,000 years). But as it turns out, it wasn't. Papyrus was indeed used for writing, and had many of the qualities of paper, but it wasn't quite what we actually know as paper. The invention of paper, one of the most significant achievements in world history, is attributed to the Chinese. Recent archaeological finds indicate the invention was approximately 100 B.C. Impressive, right? So is the versatility of paper. Then and now it's used to record our major milestones, our ideas, our artistic expressions, our music, and our deepest thoughts. However, in its earliest days, paper was primarily used for religious writings, in fact, many of the existing books at one time were the exclusive property of the church…but I'm getting ahead of myself. The Museum has a long history. It originally opened in 1939 as the Dard Hunter Paper Museum. 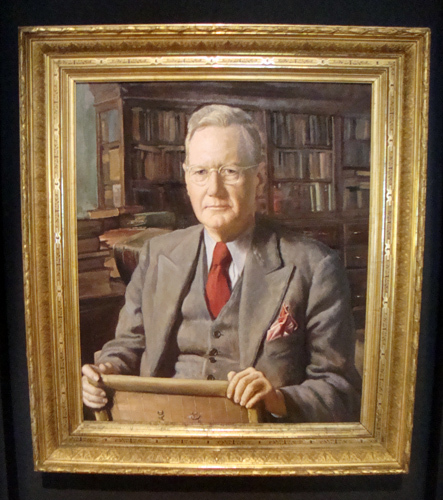 Dard Hunter was one of the world’s most renowned paper historians and experts and he founded the Museum at the Massachusetts Institute of Technology (MIT). After a brief stint in Wisconsin, the Institute of Paper Chemistry (which had provided new space for the Paper Museum) was moved to Atlanta and renamed the Institute of Paper Science and Technology (IPST). 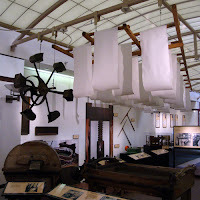 In 1993 the Paper Museum was reopened inside IPST. 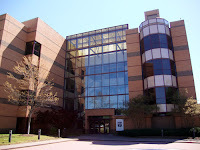 In 1996, following a substantial donation from the James River Corporation (eventually acquired by Georgia-Pacific Corporation), the Museum was renamed the Robert C. Williams Paper Museum. Williams was a co-founder of James River Corporation. Ok, so that takes care of the history behind the name of the Museum. Now, let's move on to the Museum's icon…a statue. The statue is called The Papermaker. It's a creation from an illustration believed to have first been published in 1698 and is the most prominent object you see when you enter the first gallery of the Museum. It's a life-size figure of a man, made of pristine white with dramatic lighting, who is making paper…it inexplicably draws you into the Museum. 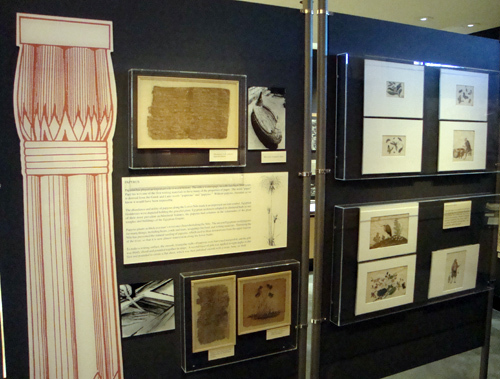 The first gallery is organized chronologically beginning with an exhibit showcasing the forerunners of paper, including: papyrus, tree bark, leaves, rice-pith paper, and other materials. One of the more exquisite examples of pre-paper writings includes an 18th Century lacquered leaf manuscript from Burma describing the ordination rites for a Buddhist priest. 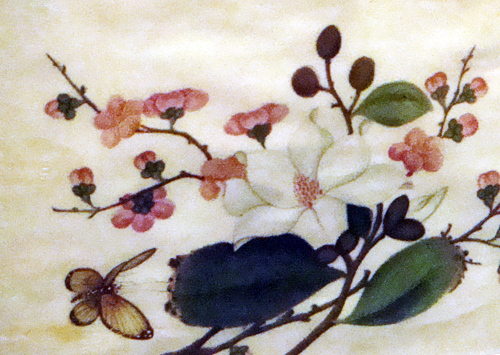 There also is a stunning painting of butterflies and flowers on rice-pith paper. 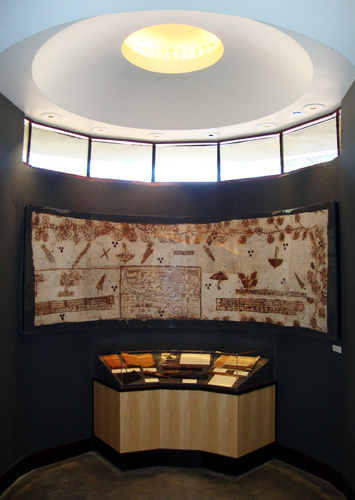 Another highlight of this galley is a Tapa cloth (a bark cloth made in Pacific Ocean islands) that depicts the arrival of missionaries to the Friendly Islands, officially known as the Kingdom of Tonga. The gallery moves on to cover the spread of papermaking in Europe. In this part of the museum there is a remarkably preserved 18th Century printer. Now, do not be fooled…this museum is not a front to lobby for the paper industry. To the contrary, its mission is "…to collect, preserve, increase, and disseminate information about papermaking—past, present and future." 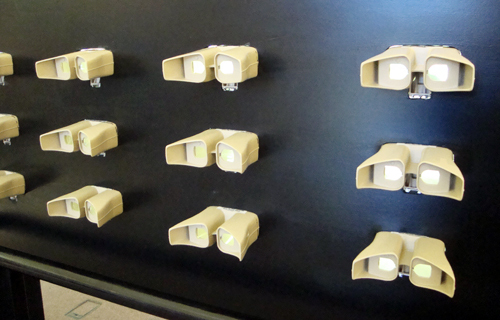 As a matter of fact, one of its exhibits is dedicated to recycling. The recycling gallery is geared specifically toward children (presumably because they’ll be most affected by near-term consumption habits of paper). To demonstrate just how much paper we use (and sure to grab their attention) there's a life-size image of a Kodiak bear (which weighs 650 pounds) with a sign that reads: "According to the Clean Air Council, the average person in the U.S. uses more than 650 pounds of paper per year." 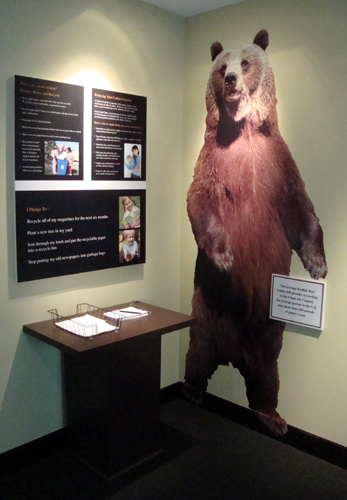 Next to the bear is a station where kids can pledge to recycle paper and list three ways they’ll do just that. 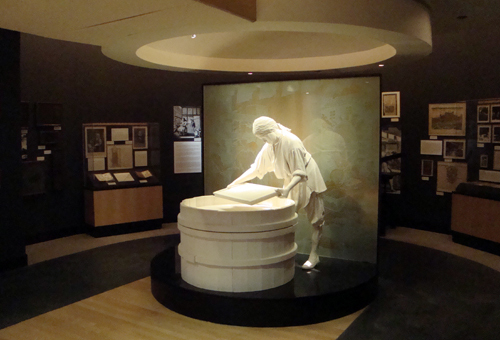 Other exhibits on this side of the Museum include a gallery dedicated to Dard Hunter, paper historian and the original founder of the Paper Museum. This gallery has several books and watermarks that he himself created. In the rotating exhibit gallery, the current exhibit is Twinrocker: Forty Years of Hand Papermaking, which includes video, artifacts, art, photographs, and numerous examples of handmade paper. Spend some time in this gallery to learn about hand papermaking as an art form. Twinrocker is a paper mill owned and operated by Kathryn and Howard Clark since 1971. When they opened the mill, it was the first hand papermaking mill to be opened in the United States since 1929. 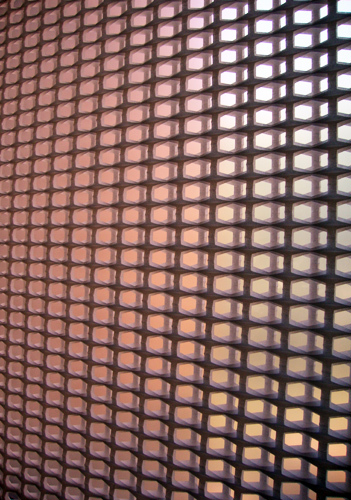 Be sure to notice some of the design details in this side of the Museum. You'll see paper shades in windows and watermark windows in doors…it's really quite amazing how nicely done this museum is. Back through the lobby on the other side is the final gallery of the Museum where there are several additional exhibits, including one on the modern paper mill. The presentation is done phenomenally well…the hanging, "drying," paper lures you into the gallery to see exactly what's going on. Once in, you discover a step-by-step explanation (complete with artifacts) of the papermaking process. 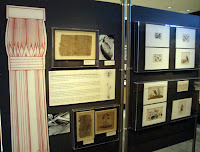 Also in this gallery is an exhibit of: raw materials used for paper making; a photo of the plant prior to being harvested; and a sample of paper created from that material. 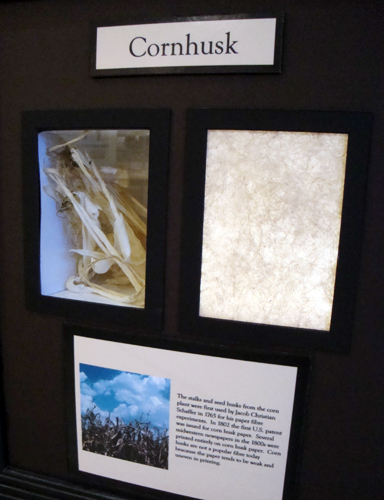 Some of the materials included are cotton, cornhusk, bamboo, and cactus. One the fun side, there's a bank of stereoscopes (think View-Master from when you were a kid) with images of paper mills of yesteryear. 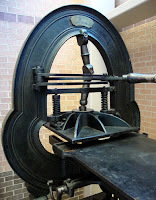 Back in the lobby you'll find two rather large presses. One is an Adams letter press, circa 1820, and the other is a Samson paper press from South England dating to 1790. On your way into the first gallery, you would have seen the Gift Shop, which is filled with paper gifts ranging from origami jewelry to handmade paper cards. 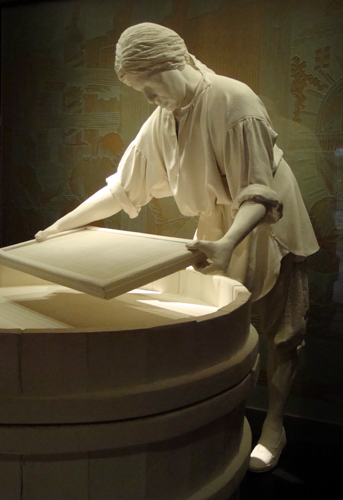 If you do not live in the area or want to learn about the science and technology of papermaking, the Museum's online tour is a fantastic resource. If you're a local or visiting Atlanta, I highly recommend a visit in person…it's an impressive museum! Rock, paper, scissors? I'm going with paper! 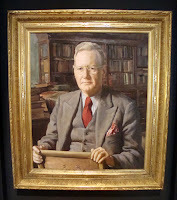 I will definitely return to the Robert C. Williams Paper Museum. I spent only an hour there, enough time for a decent tour, but there's so much more to explore and learn! This museum is definitely on my must-see list…and it's so easy to get to! I went to see the Twinrocker exhibit there, It's a great but unknown place. Thanks for getting the word out.